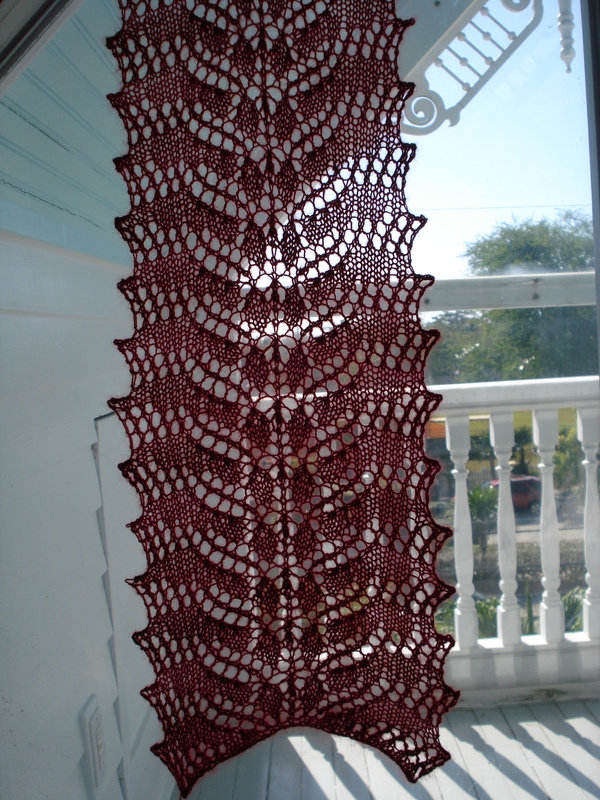 I am so proud of myself for undertaking and finishing a lace project! This scarf is for my lovely mother-in-law Betty. I know she loves red, and that was the only excuse I needed to buy this gorgeous cashmere yarn. In this photo, the scarf is being blocked (stretched to the right shape) and the color is truer than in the backlit photo above. For knitters, the pattern is Pyrifera, named for a fast-growing seaweed, with beautiful examples for Ravelry members here. I named mine Rhodophydta, for red seaweed. The yarn is Artyarns Cashmere 1 ply. 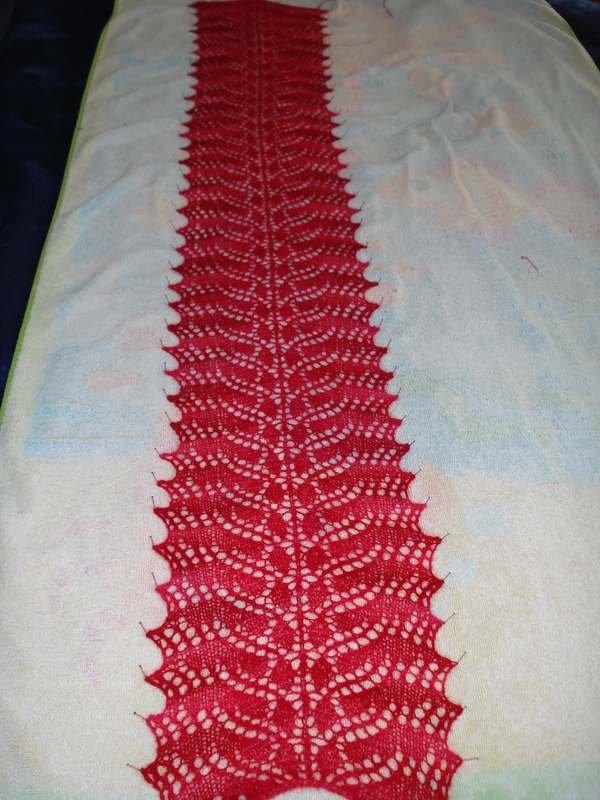 This was an excellent choice for a first lace project, as I was able to memorize the 10-row repeat very easily. P.S. I think I am now addicted to lace, because I have two more projects started needles!